This high quality home was built by the current owners and is on the site of an old working miners hotel from the Gold Rush. 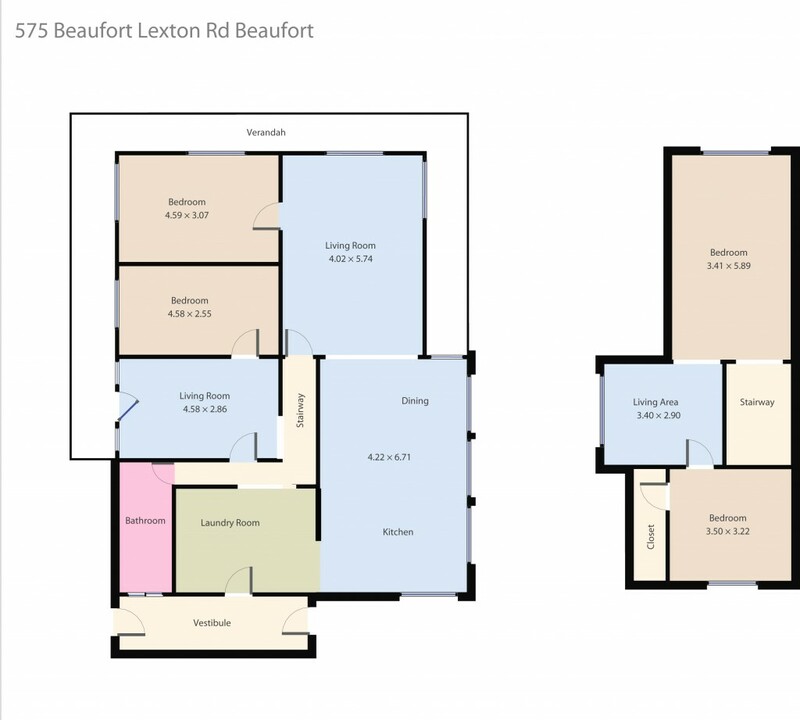 The property is positioned just a five minute drive from the centre of Beaufort with shopping, schools and healthcare available. Ballarat is just a 30 minute drive on the Western Highway. The rectangular 5 acre block is flat and ideal for animals, gardeners and other hobbies. Inside the home you have two bedrooms upstairs and two bedrooms downstairs. Your main living area is spacious and there is a second separate lounge. The kitchen has an attached meals area and expansive views across the countryside. Outside you have a bungalow ideal for a further self-contained dwelling. Other features include a wall furnace, wood heater, town power, water tank capacity of around 27,000 litres, 2 paddocks, bottled gas and plenty of shedding for cars, animals, machinery and storage. A unique lifestyle opportunity, contact Dominic Morrison today!